Log on today at www.OnTrajectory.com and become your own financial fortune-teller! 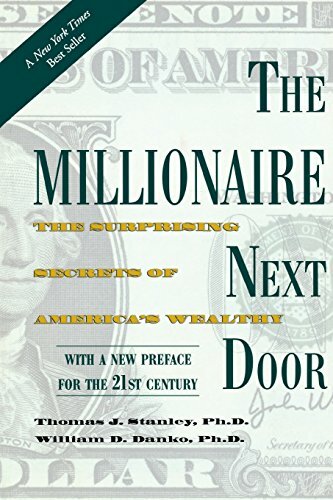 The Millionaire Next Door provides readers with an a different view of the lives and habits of Americaâ€™s wealthy. For those who already live below their means, they will find the book a source of validation and vindication. If they are struggling to orient themselves in the sea of misinformation, they will find guidance that will help them steer their way to economic self-sufficiency. Get it for $10. Rich Habits – Driven by the desire to unlock the secrets to success and failure, Tom Corley spent five years studying the daily activities of 233 rich people and 128 poor people. He discovered there was an immense difference between the habits of the rich and the poor. During his research he identified over 300 daily activities that separated the â€œhavesâ€ from the â€œhave nots.â€ Tom decided to write a book to share what he learned. That book, Rich Habits: The Daily Success Habits of Wealthy Individuals (1st Edition), went on to become an Amazon Bestseller in the United States forty times over a three year period. It’s on sale for less than $10 on Amazon. The Richest Man in Babylon – Beloved by millions, this timeless classic holds the key to all you desire and everything you wish to accomplish. This is the book that reveals the secret to personal wealth. Get it here. Common Stocks and Uncommon Profits – First published in 1958, this special edition allows investors to trace some of today’s most popular investment philosophies back to their genesis. 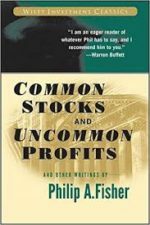 Philip A. Fisher’s investment principles are studied and applied by today’s finance professionals, including Warren Buffett. Grab a copy now. 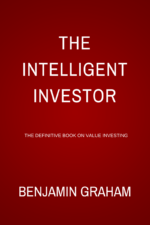 The Intelligent Investor – This book announces early on that its purpose is to help an average person adopt and carry out an investment policy. Rather than focusing on analyzing securities, the book devotes itself to explaining investment principles and attitudes. Its history of republication and new editions certainly secures its place as a worthwhile read for any serious investor. It’s on sale on Amazon. 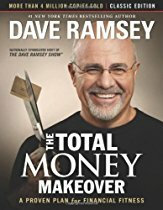 The Total Money Makeover: Classic Edition – The Total Money Makeover is a practical, very doable plan that allows you to improve your finances. It has been tried, tested and proven by Dave and his wife, and the countless others that they managed to help. This step by step plan will take you through the process and help you open the door to your personal, financial freedom. Click here to get a copy. 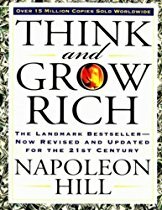 Think and Grow Rich – With over twenty million copies sold, “Think and Grow Rich” remains the most important financial book ever written. Napoleon Hill studied more than forty millionaires to understand what made them successful. In “Think and Grow Rich” he explains what gives certain people an advantage over others. This book will give you the information he discovered and outline the tools and mindset you need to have in order to be rich and successful. Start thinking rich and grab a copy. Freakonomics – Since its publication, the book has spawned a sequel and even a documentary. Eight years might seem to be a long shelf life for a book about statistics, particularly one dealing with current events, but as one of the first books to push economics and data science into popular consciousness, we think itâ€™s definitely worth taking a second look. Get it for $10.49. The Automatic Millionaire – Bestselling financial advisor David Bach brings us his proven, revolutionary system that in one hour will make readers — even those not smart about money, not disciplined or budget-minded — rich. Click here to get a copy. Your Money or Your Life – In times like these, it’s more important than ever to know the difference between making a living and making a life. Your Money or Your Life is even more relevant today than it was when the book first hit the stands, and a great publicity campaign will bring this already strong-selling book to a whole new audience. Click here for a discounted price. Rich Dad Poor Dad – As author, Robert Kiyosaki, describes in his book Rich Dad, Poor Dad, higher education and a job does not guarantee wealth. It’s the application of financial knowledge, which separates the wealthy from the lower class. He compares two case studies of financial knowledge through his two â€œdadsâ€.. Click here to get a copy. The 4 hour Workweek – The New Rich abandon the conventional deferred-life plan (work now and retire later) and instead develop their own signature lifestyles which utilize the currencies of the New Rich: time and mobility. The 4-Hour Workweek gives you four steps to follow which will take you from being deferred-life oriented to becoming part of the New Rich. Get a copy and be a part of the New Rich. USAA Bank is mostly for people who served for the US Armed Forces. This service is not free but they do have solid products. Not to mention that you can talk to a real person when calling customer service. Click here to sign up. Personal Capital – This is a much better tool compared to Mint since they have better investment and tracking tools. They offer free sign-up and a ton of tools which works like magic. SavingsHoney – If you love coupons then you will love Savings Honey. It searches online for coupons for major retailers like Amazon.com and Macys.com. It’s also free to use.